Florida Republicans Gov. Ron DeSantis and U.S. Sens. 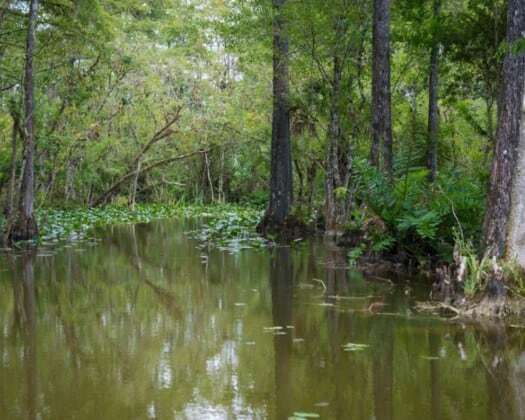 Marco Rubio and Rick Scott are calling on the federal government to send more funds to help restore the Everglades and protect South Florida’s water quality. The governor and the senators wrote President Donald Trump on Monday, asking him to include $200 million in annual budgets for construction funding for South Florida Ecosystem Restoration (SFER). “We write to request your direct support for a sustained annual commitment of $200 million in construction funding for South Florida Ecosystem Restoration (SFER) in your administration’s future budget requests to Congress. Along with your leadership in fulfilling this funding request, your unique background and experience is key to advancing this world-class environmental infrastructure project to restore America’s Everglades,” they wrote. “As evidenced by a recent letter addressed to you and signed by all 27 members of Florida’s delegation in the U.S. House of Representatives, support for the Everglades is broad-based and bipartisan. The federal-state partnership to restore the Everglades is critical to protecting Florida’s unique environmental character, preserving our state’s full economic potential, and enhancing the resilience of every community south of Lake Okeechobee. Unfortunately, federal funding has not kept pace with the state’s increasing contributions. “Florida’s recent struggles with harmful algal blooms have raised the stakes for accelerated progress on Everglades restoration,” they added. “Enhanced federal funding to complement years of historic state funding levels would fast-track design and construction of the Central Everglades Planning Project and the Everglades Agricultural Area Storage Reservoir to divert and clean Lake Okeechobee releases and increase water deliveries to Everglades National Park and Florida Bay. These funds would also advance important water storage and treatment infrastructure planned for the Caloosahatchee River (C-43) West Basin Storage Reservoir and Indian River Lagoon-South projects that will further reduce harmful algal bloom frequency and intensity through enhanced coastal water quality. “The critical infrastructure that will be built as a result of sustained annual budget requests to Congress of $200 million in construction funding for SFER would be a tremendous part of your legacy in Florida. We stand ready to help execute any action you take to fulfill long overdue federal commitments to restore the Everglades,” they wrote in conclusion. Scott weighed in on the letter on Tuesday morning.